I just read a truly mesmerizing book. 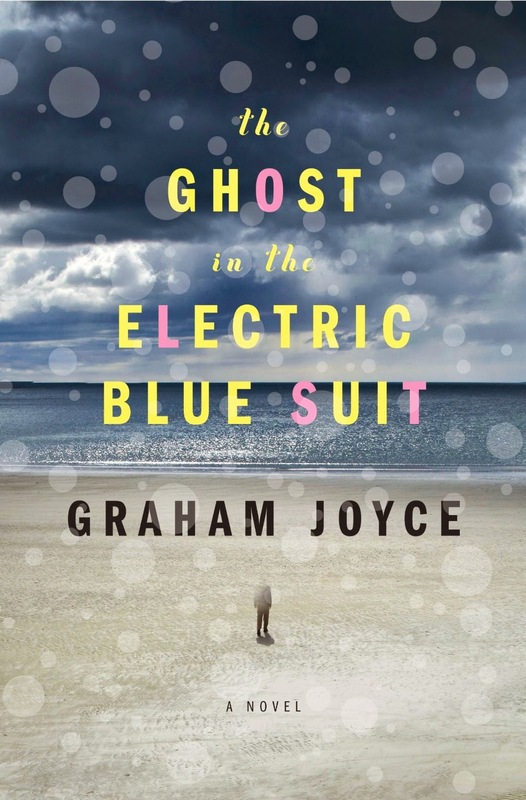 The Ghost In the Electric Blue Suit by Graham Joyce is a book that takes you there. "There" is the eastern shore of Britain. It's the hottest summer in living memory. It's the summer of 1976. Much to the disappointment of his mum and step-dad, David Barwise, takes a summer job at a resort in Skegness. David is drawn to the locale by a photo of his birth father, taken in Skegness when David was a small child. In many ways The Ghost In the Electric Blue Suit reminded me of Dirty Dancing" (without the dancing). Similar drama, summer romance, at a place families would go for their week long vacation. Graham Joyce's writing style is comfortable, relaxing, lyrical at times. As a reader I became immersed in the words to the point that it felt as if David's experiences where my own. Throughout the story, David sees a man and a little boy, they are there one moment and gone the next. The man is always in a blue suit that takes on the same phosphorescence as the sea. Who is the man? Who is the little boy? What does it all mean? The Ghost In the Electric Blue Suit is the kind of story I may read again some day. The characters are rich with personality and mostly a pleasure to be around and I wouldn't mind visiting with them from time to time. The Ghost In the Electric Blue Suit will be available as an ebook, hardcover and Audio CD on August 5th, 2014 from Random House LLC. Take a salvage operation in space and mix in a healthy dose of mysticism, with Lovecraftian overtones, and you have a pretty good idea of what The Plasm is all about. Steve Falmoth pilots a cargo rig in the asteroid belt between Earth and Mars. He and his partner, Sam, stumble upon the VORDLAK, lost in space for eighty odd years. The crew is gone, but what they find is straight out of your worst nightmares. One of the nice things about reading a book by William Meikle is knowing it's not going to be the same as the last thing you read by William Meikle. Although, a portion of the story is told in journal entries and I often feel that doesn't work, Meikle did an excellent job using this tool to convey key points to his story. The Plasm was an interesting change of pace for me. A little space adventure with a touch of horror. I think other fans of horror, particularly stuff with a Lovecraftian flavor will enjoy this one. Look for The Plasm, in a variety of formats, beginning July 29th, 2014 from Dark Regions Press. Apartment 7C is a quick read about 82 year-old Beth Baker whose daughter, Alice, was killed, years ago, by her abusive husband. When Beth moves into a new apartment and recognizes a similar pattern with her new neighbors, she is moved to take matters into her own hands. Apartment 7C got off to a somewhat slow start for me and at one point I thought this was just going to be a story about the horrors of spousal abuse. Granted that subject matter, in itself, is horrifying and it's difficult to comprehend why someone would continue to remain in such a situation. The author does a nice job of explaining why Carl Baker's wife, Marcey, stays. She truly is without options. But, Apartment 7C is about more than spousal abuse. It's about being haunted by your past and taking steps to provide justice when there's no other way. Once the decision is made, what follows are a series of gut-wrenching scenes with truly disturbing images and OMG, just when you think it's enough, there's more. There may be something wrong with me, but when I finished Apartment 7C I felt satisfied. Justice had been served. 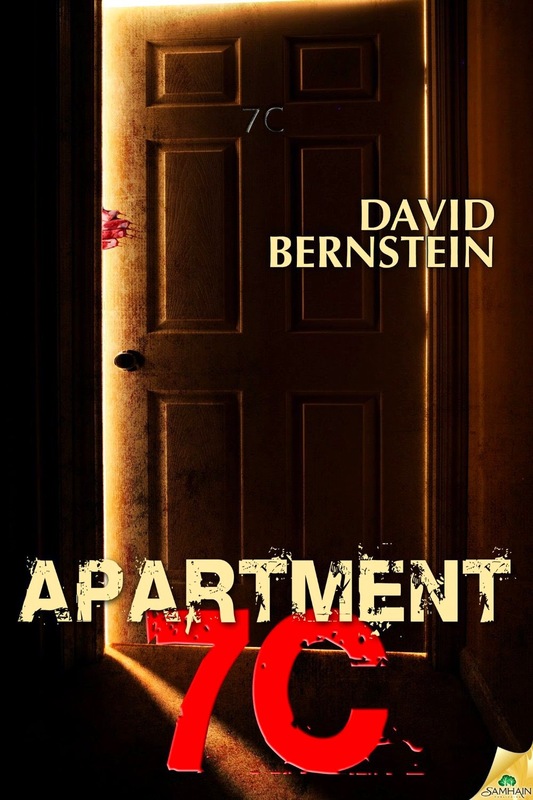 Apartment 7C is available now from Crossroad Press..
Not for the faint of heart, but I can highly recommend this one. Operation: Ice Bat is something special. A group of talented writers coming together to help one of their their own. Each one contributing a story for this anthology with all of the the money made going to the cause. 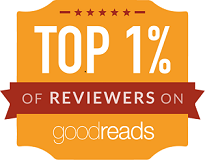 And at the same time, giving the reader a good time. Eighteen stories from some of the best writers woking in the horror genre today. The fun begins with a mining legend from Christopher Golden and "Breathe My Name." The first thing I realised while reading this piece is it's been too long since I last read Christopher Golden. A solid start to this strong anthology. I won't mention every writer and story in this collection, you can easily check out the Table Of Contents online, but I will mention several of the standout tales. Mandy DeGeit's cringe-worthy, "Inviolable," is truly disturbing, yet extremely effective. James A. Moore's story, "Emily's Kill," combining Sherlock Holmes and a somewhat Lovecraftian tale, was very entertaining. I also thoroughly enjoyed, "The Wretched Spawn," by Michael H. Antonio as he takes us from Land Sharks to something even more terrifying. Not every story is great, but so many of them are. I know that to say there is something for everyone is cliche, but it's also true. Brothers fighting over their dead mother's reanimated corpse. A giant mouth that just wants MORE. A wonderful story of reaping what one sows. Yeti and a thirty-foot tall, mechanical penguin. If you thought clowns were scary, wait til you meet Mary SanGiovanni' s mime. BTW, the award for best title in the anthology goes to Mike Lombardo's "I'm Dreaming of a White Doomsday." 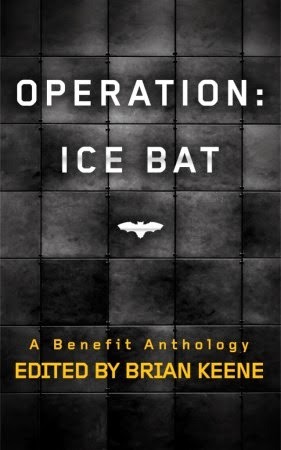 Do yourself a favor and pick up a copy of Operation: Ice Bat ASAP. Available now from your favorite e-book retailer. You'll be doing something nice and you'll get a lot of bang for your buck. The Buried Life is an enjoyable first novel by Carrie Patel. Set in a future where many have chosen to live below the Earth's surface. The fictional city of Recoletta, like all modern cities, had been constructed around the two values that society prized most, security and privacy. It's important to note, most historical records were destroyed in the period immediately following The Catastrophe and any that did survive are severely restricted as to who can access them. The story begins with the murder of Professor Werner Thomas Cahill, a historian working on a secret project...Prometheus. Investigating the murder, are Inspector Liesl Malone and her new assistant, Inspector Randolph Sundar. There's a nice relationship that builds between these two characters and the author is skillful in dialog that rings true and is comfortable to read.. Soon after a second murder, that of Mr. Lanning Fitzhugh, a master Architect of the city, the Inspectors are forbidden by the city's council from investigating the case any further. However, the Municipal Police and the Council don't exactly get along and at this point the Inspectors have come to far to let it go. In addition to the police, there is also a laundry-woman and her reporter friend who become deeply involved in the mystery. The Buried Life is actually well written and there is a pretty good story here, but in many ways, the writer has merely scratched the surface. There is so much I found myself wanting to know about the back-story that just wasn't revealed. What was The Catastrophe? Why is this town underground? Why is knowledge of the past denied to those living in the present? 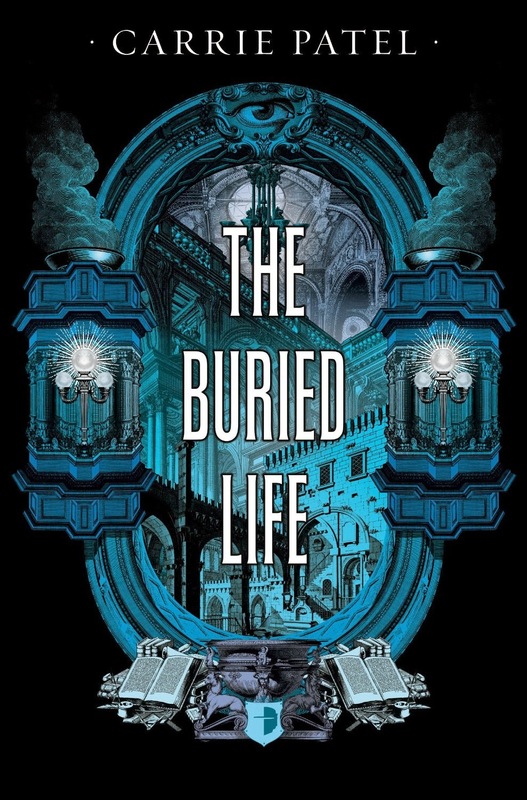 The Buried Life will be available in print and e-book formats from the usual online retailers on July 29,2014 and is published by Angry Robot Books. I don't often mention dedications when I do these reviews, but Shane Berryhill's dedication for Bad Mojo: A Zora Banks Novel is just so fitting for the book that follows, that I felt it was worth a quote. "To the people of Chattanooga, Tennessee. The good. The bad. And everyone In Between." Imagine my delight when I found myself in a world filled with spooks of all types, vipers (vampires), werecreatures, hoodoo, zombies, and so much more. Plus, a subplot of a political hopeful with a dark secret. This is my kind of story. Writer, Shane Berryhill, has an in-your-face style of writing that was well-suited for this particular tale. "...you can understand why the sight of a low-rent count and his bride standing outside my bar has my hackles up. Through the barred, Plexiglas door, it's obvious that the count is a Southern-fried Anne Rice reject--long and pale with the sharp, predatory features. The business end of his sandy mullet is greased to a quill-like perfection. The stringy party-in-the-back dangles unkempt over the up-turned collar of his dark brown duster. And where the hell did he find a lacey ruffle shirt in camo green?" Ashley Owens (better call him Ash, unless you're family), isn't exactly normal himself. I believe he may be a werewolf, but it's all under control, thanks to some hoodoo from his partner Zora Banks. In Bad Mojo, Ash and Zora and their friends have to do battle a wide variety of spook and even pay a visit to the In Between. 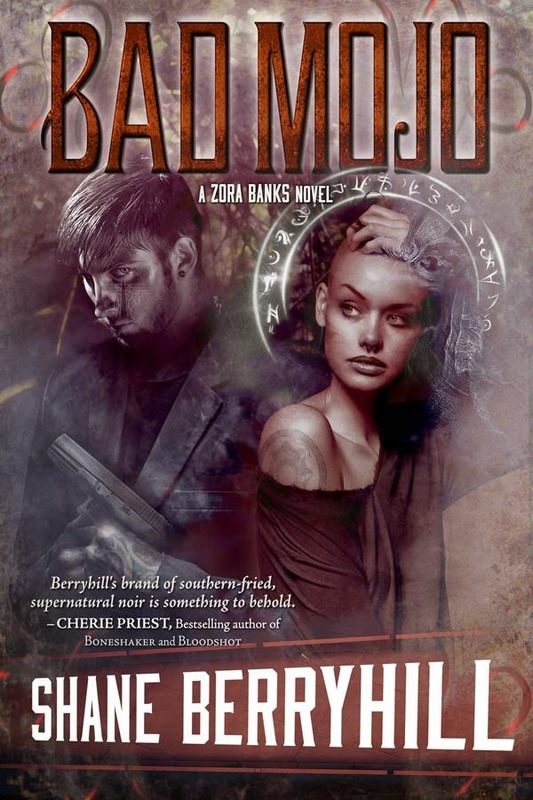 Bad Mojo: A Zora Banks Novel turned out to be a lot of fun. There's plenty of room for a sequel, yet things are left pretty much resolved by book's end. Also, kudos to George C. Cotronis who did the cover art. Very nice indeed. Look for Bad Mojo: A Zora Banks Novel to be available on Amazon on July 28th, 2014. Subtropical Suspense - Edited by Cameron Trost - Tales of mystery and suspense set in the subtropical city of Brisbane, Australia. I am a big fan of the Australian Horror community and when I saw the submission call for stories for Subtropical Suspense, from Cameron Trost and Black Beacon Books, I thought this would be a project I would really enjoy. The truth of the matter is that fewer than half of the stories struck a chord with me. One of those stories was right at the start of the book, "A Lasting Impression, " by FN Karmatz was very good, from the clever title to the well executed story of college roommates, one of them an accomplished thief. "Penelope Potter," by Frank Ince, is a delightful tale of a con artist who gets conned herself, and I thoroughly enjoyed "Deluge," about an autistic young man who, through writing exercises, predicts the future or is it more than that? After that there are several stories that are just OK. There are police procedurals, missing husbands, a private eye story, a mystery involving attacks at a school, and others. There is one other story that I really enjoyed. "Blood On the Ice," by Helen Stubbs, had an element of horror and was a very well written story that takes place at an Ice Skating rink. 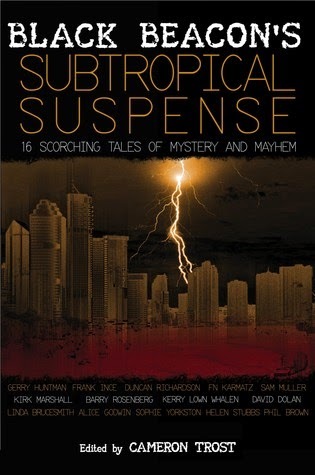 Subtropical Suspense is 16 tales of mystery and suspense set in the subtropical city of Brisbane, Australia. It did expose me to a number of new voices in speculative fiction, which is always nice. Subtropical Suspense is scheduled for a launch date of July 19th, 2014, from Black Beacon Books. Elderwood Manor gets off to a rather slow start, but develops into a breathtaking story of a house with a long memory and an appetite for vengeance. Bruce Davenport and his four-year-old son, Cody, are on their way to the mansion where he grew up. It started with a call from his estranged and aging mother. The house, larger than a football field, is suitable creepy. "The hinges squealed slightly as the door swung open to reveal his mother's bedroom. It smelled of mothballs and light perfume. More alarming was the scent of old age, mortality taking it's withering measure, death creeping into brittle bones." What Bruce finds in the old house has him and Cody doing whatever they can, just to survive the night. 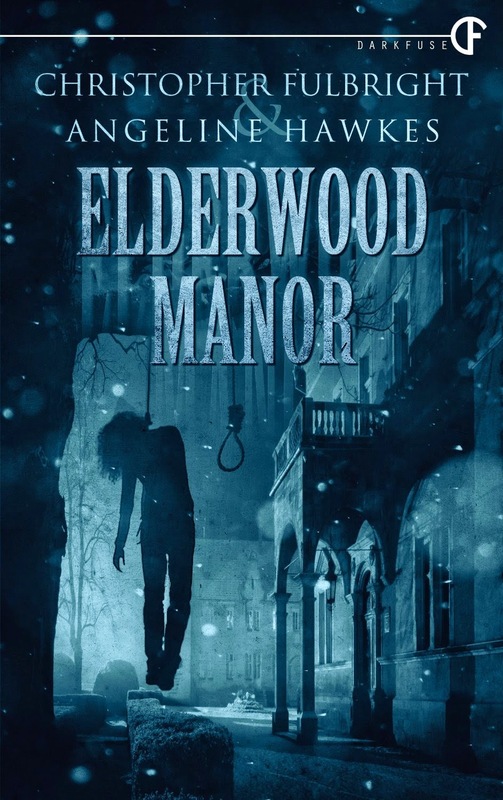 Elderwood Manor had moments of brilliance with a strong creep factor and a great back-story, but the actual events that take place in the house, while horrible, take an enormous suspension of disbelief. Elderwood Manor is scheduled for release on July, 15, 2014 from Darkfuse and will be available for the Kindle on Amazon.com. If you subscribe to Amazon Prime you can read this novella for FREE through the Kindle Owners' Lending Library. 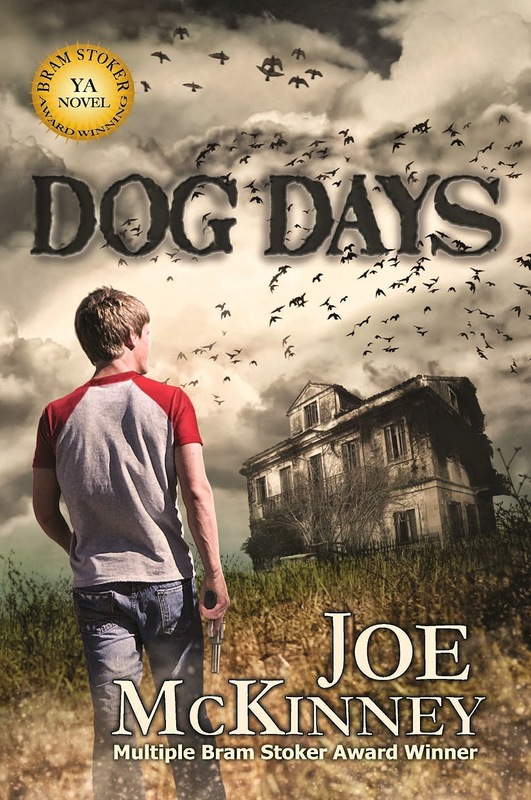 Dog Days was originally released as one of the stories in JournalStone's double down series. 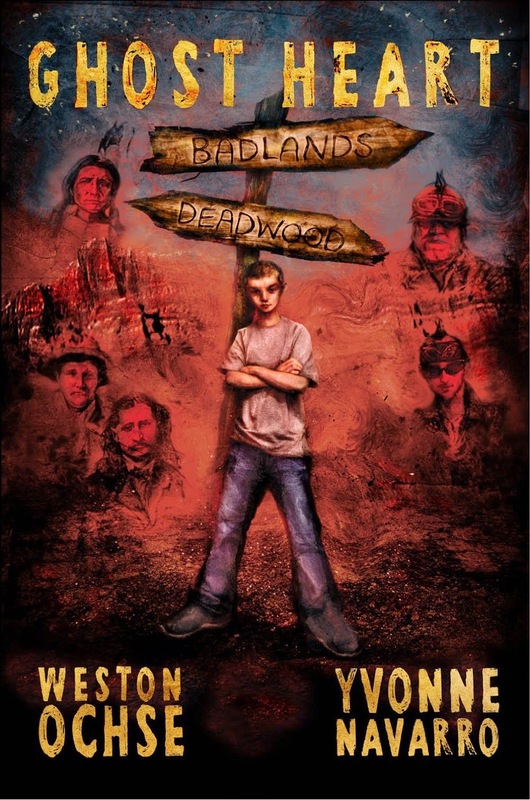 Since that release, it has gone on to win the Bram Stoker Award® for Superior Achievement in a YA Novel. A well deserved accolade and a good enough reason to warrant a new release with a brilliant new cover. Plus, there's a bonus story, from Joe McKinney, called "Among Men." Dog Days begins with a quote from Sir Arthur Conan Doyle's Hound of the Baskervilles. One of my favorite stories as a kid. This special edition is available now as a hardcover, a paperback, and e-book through Amazon.com. Husband and wife writing team, Weston Ochse and Yvonne Navarro, have produced something very special with Ghost Heart. At the center of the story is a very cool kid, a couple of ghost/imaginary friends and his German Shepherd, Kubla Khan. Ghost Heart is a YA novel and is truly geared to that younger audience. I enjoyed this so much that by the time I was half-way through, I knew I was going to add this to my ten-year-old grandson's Summer reading list. I think he'll really like this foray into the world of ghosts and witches. The story begins with Matt Cady playing cowboys and Injuns with his constant companion, Kubla Khan. The interaction is playful and real and is watched over by Jacket, his Guardian Spirit and Raison who is the Guardian Spirit of the teenage girl next door, Reggie, who now longer believes in such things. When Reggie runs away, Matt joins her and it's the start of a great adventure involving bikers, fortune tellers, a giant, the Christmas Witch, vampire kittens and the ghosts of Wild Bill Hickok and Calamity Jane and a quest for the War Shirt of Crazy Horse. All in the hopes of keeping his parents from getting a divorce. In addition to a rip roarin' adventure there are some solid life lessons mixed in with this story that make it perfect for the Young Adult reader and anyone who wants to feel young again. Ghost Heart is available in both paperback and for the Kindle from Dark Regions Press through Amazon.com. If you have Amazon Prime, you can read it for FREE through the Kindle Owner's Lending Library. 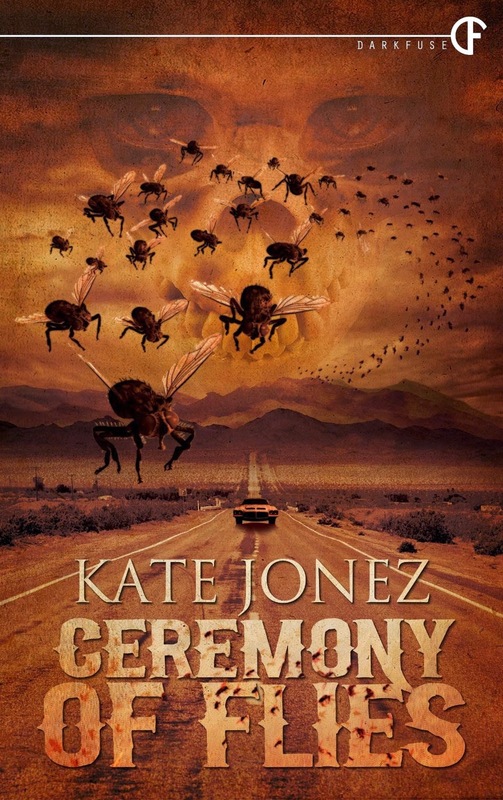 Ceremony of Flies is the first work, by Kate Jonez, I've had the pleasure of reading. This is one on the perks of being a member of the Darkfuse Book Club. You get a novel and a couple of novellas every month, sometimes by your favorite authors and other times by folks you may not be familiar with. It's exciting to discover new voices you haven't read before. There is quite a bit of story packed into this novella. Emily ran to Vegas when things went bad with her former boyfriend in NYC. She spends her days auditioning for singing jobs and her nights as a barmaid in a casino, but when she accidentally stabs her boss, she has to leave town in a hurry. "'I think I should go to Mexico.' Once I said it out loud, it makes a lot of sense. That's what people do, right? The guy in the Shawshank Redemption, Al Capone, Thelma and Louise. Once you stab a guy, Mexico's a place your ought to go. There's no going back after you do something like that." Along the way Emily takes up with Rex, a kid they call Harvey, and a dog. Before long Emily kills and kills again, she can't seem to help herself, by the end she thinks of herself as an agent of evil and I'm left with the feeling she just might bring about the end of the world. As much as I enjoyed the ride, the ending seemed to be a bit abrupt and rather vague, leaving more than a little to the imagination. There's nothing wrong with that. It just left me wanting more. Ceremony of Flies is available now for the Kindle at Amazon.com from Darkfuse Press. If you subscribe to Amazon Prime, you can read it for FREE through the Kindle Owners' Lending Library. 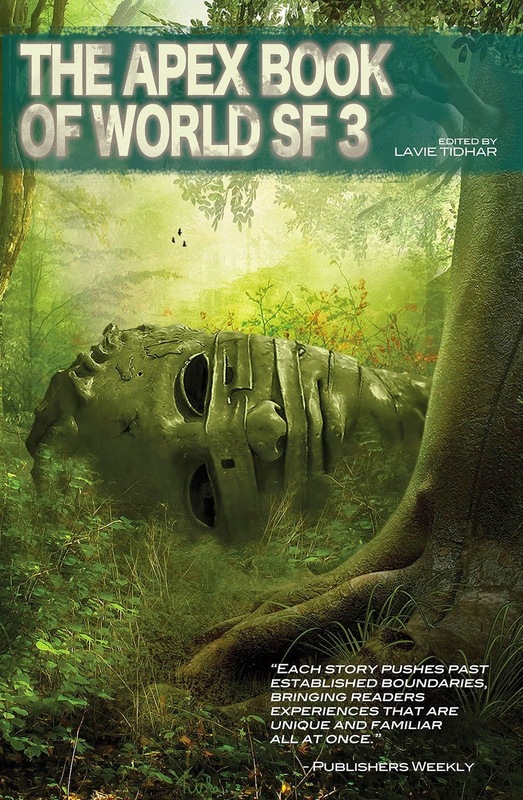 The Apex Book of World SF 3 is a solid collection of sixteen stories from around the world. These are writers and stories I would have never been exposed to outside of this format and that would have been a shame as there are some exceptional stories in this volume. All of the stories are held to a higher literary standard than what I usually read, but that's not to say I didn't enjoy them. For example, the first tale, "Courtship In the Country of Machine--Gods," by Benjanun Sriduangkaew, was a beautifully constructed view of alien ways and wars. I can't say I fully understood it, but it was intriguing. More to my liking was "A Hundred Ghosts Parade Tonight" by Xia Jia, a charming story of the ghosts who live on Ghost Street waiting to cross over. One of my favorites was the tale of an android who becomes a Muslim in "Act of Faith," written by Fadzlishah Johanabas. A very clever and enjoyable story. Other favorites include, "City of Silence" by Ma Boyong, where the "appropriate authorities" are endeavoring to make life on the web and in the physical world equally healthy by restricting the words you can say and write and the lengths some people will go to to exercise some freedom of speech. There's a terrific horror story called, "Jungle Fever" by Ika Koeck, about a young girl who gets a scratch in the forest and what she becomes. And another horror tale of "Three Little Children" from Ange, about the abduction of three little children told to other children as a bedtime story. Cool. There were a few stories that did not appeal to me, but that's likely just me. 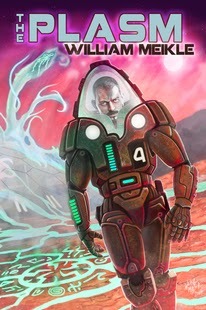 The Apex Book of World SF 3 is certainly worth your time and a few dollars and is available now as a paperback and for the Kindle through Amazon.com from Apex Books. Shana Festa is a new author, but make a note of her name. She's going to be big, very big.. You may already know her under her alter ego, The Bookie Monster, a website where Shana reviews horror and paranormal books, with an emphasis on (but not limited to) zombie fiction. 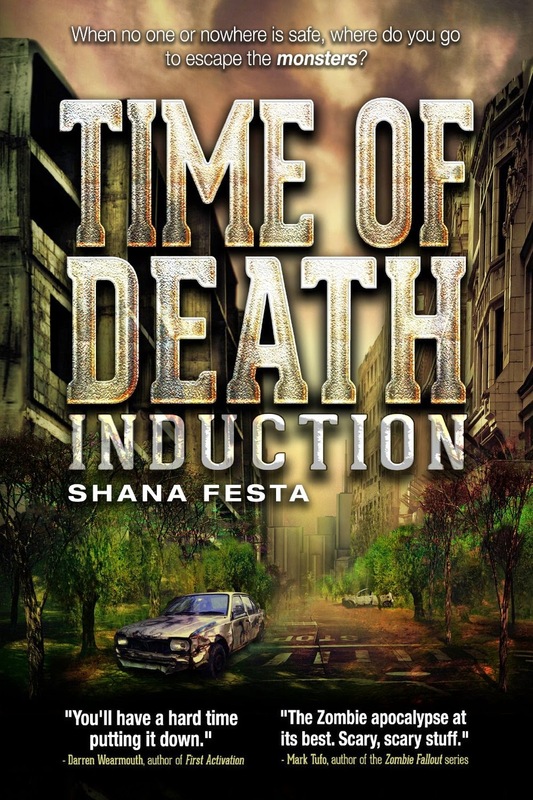 Shana has put all that reading to good use and has written the first in a proposed trilogy of zombie stories, Time of Death: Induction. Maybe you're thinking what I was thinking; new author, reviewer, how good could this possibly be? Well, it's better than that. Actually, it's really, really good. Shana, doesn't write like a novice, she writes with the skills of a seasoned professional. And she gets right to the point in the prologue, like an arrow shot from the bow of a champion archer. As I read, I tend to make little notes for myself on things I may or may not include in my review. One such note, "written by a true dog lover." Later, I learned that the lead character's dog, Daphne, shares a name with one of the author's dogs. THAT is a dog lover. As if dealing with a zombie outbreak isn't bad enough, there is also a category 3 hurricane bearing down on Cape Coral, Florida and Shana manages to combine the two disasters with aplomb and pulls no punches in describing all the horrors found in this changing world. "The wandering corpses had begun to thin out and I wondered if they were migrating elsewhere or if someone else was killing them. I knew they hadn't begun dying off from decay because the ones that wandered into our vicinity looked like they had gone through a meat grinder. The air had a constant rancid odor that I suspected would only get worse as the days passed. Through my rifle’s scope, I got an up close and personal view of the maggot riddled corpses. What I first thought to be the heat creating a rippling effect in the air turned out to be millions of maggots infesting the undead. They writhed in open wounds and fell out in clumps as the zombies moved." By the way, kudos to the author for allowing bad things to happen to good people. Too often select characters survive when the story would be better served by their demise. Time of Death: Induction is not fun and games zombies. This is serious business. Every bit as enjoyable as the best episodes of The Walking Dead. In my opinion, the best zombie stories are ones where the zombies almost become incidental. Don't get me wrong, there is plenty of zombie gore and mayhem in this book, but there is also a good story, with romance, pathos and comedy. I loved it. Time of Death: Induction, from Permuted Press, is available from a wide variety of online retailers in both paperback and eBook formats. Anthony J. Melchiorri is a writer and bio-engineer living in Maryland. He spends most of his days developing cardiovascular devices for tissue engineering to treat children with congenital heart defects. He's also a very competent writer. Enhancement: Black Market DNA is set a bit more than 40 years into the future. There are driver-less taxis and comp cards (all-purpose communication devices that also serve as credit cards), but this novel is not about the gadgets and the way we live, work, and play in the future, as much as it is about genetic enhancements and specifically the black market for such products. That black market landed Christopher Morgan in prison for his involvement and almost costs him his life, until a mysterious benefactor has him paroled and offers him a job right back in the field of genetic engineering. Enhancement: Black Market DNA is a story where the lead character doesn't know who to trust. The people you think are trustworthy, aren't. Those who seem to be evil, may not be as bad as you think. And even the central character is extremely flawed. 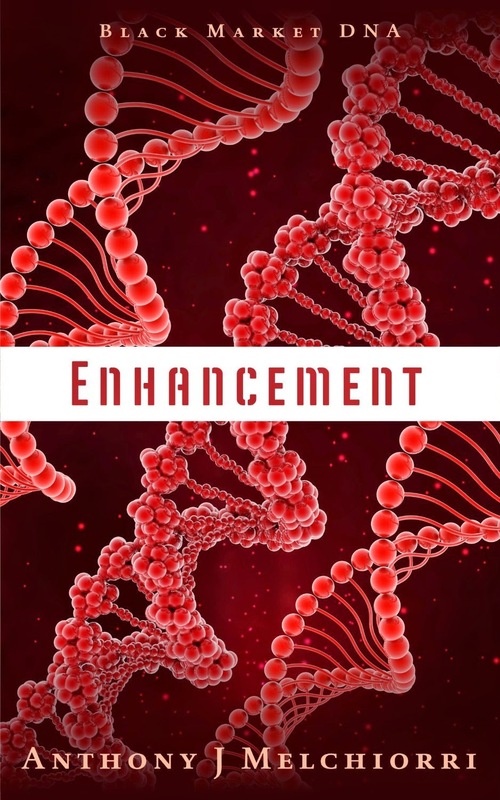 Enhancement: Black Market DNA is fast-paced, thrilling and enjoyable read and is available now in paperback and for the Kindle through Amazon.com.